We, humans, have irrevocably damaged nature and its equilibrium resulting in climate change, deforestation, habitat loss, and pollution among many others. And we need to do something about our behavior and habits now. Thanks to the annual Earth Day, a day when various events are held to show support for and gain awareness on environmental protection, we’re all reminded of this. For the Earth Day this year on Apr. 22, the campaign is entitled “Protect Our Species.” One of the best ways to celebrate it is with the folks at Arroceros Forest Park, which still has a looming threat that it will be destroyed to make way for some commercial space. 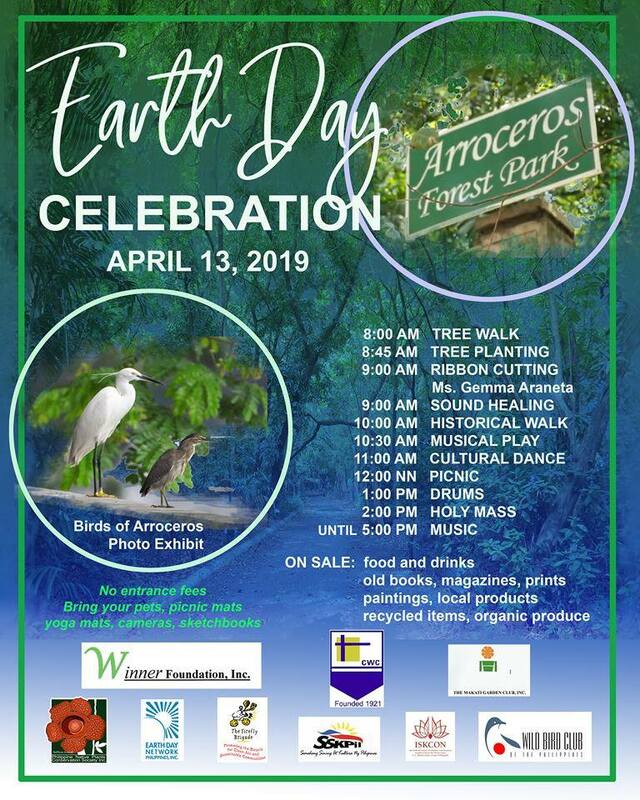 Let’s help protect the last remaining forest park in the capital city of the Philippines by supporting its Earth Day celebration. On Apr. 13, ready your binoculars, cameras, picnic mats, and appetites as the environmental group that takes care of the forest park Winner Foundation prepare a whole day of nature appreciation. There will be tree and historical walks, tree planting, sound healing, musical plays, and cultural dance on Saturday. There will also be a flea market where you can buy old books, magazines, prints, paintings, local products, recycled items, and organic produce among others. Food and drinks from El Chupacabra and 63 North Brewing Company are also available. Arroceros Forest Park is located near LRT-1 Central Station on A. Villegas Ave., Manila.